Last month the Massachusetts Supreme Judicial Court affirmed a trial judge’s decision to suppress evidence unlawfully obtained in the course of an inventory search. 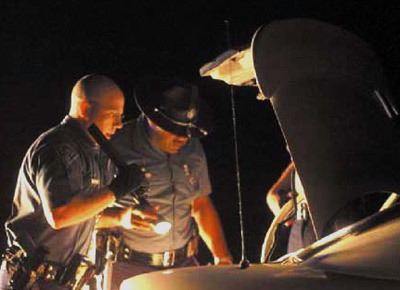 In Commonwealth v. Oliveira, decided March 28, 2016 the Court found it unreasonable for the police to conduct an inventory search after the operator was arrested for shoplifting and the operator gave the police a practical alternative to impounding the car. In addition to shoplifting, the defendants in this case were charged with carrying a firearm in violation of G.L. c. 269 Section 10(a) and possession of ammunition, a violation of G.L. c. 269 Section 10(h). Both the weapon and the ammunition were suppressed. This will likely result in a dismissal of those charges. The facts in Oliveira as are follows: After having stolen some items, the defendants were detained by loss prevention officers in a department store. One of the defendants admitted to the theft and told the police that the goods were in his girlfriend’s car in the parking lot. He gave the police his keys and permitted them to search for the goods that were stolen. The stolen goods were in plain view. The defendants were arrested and charged with shoplifting pursuant to G.L. c. 266 Section 30A. To avoid having the car towed, one of the defendants told the police that his girlfriend could come pick up the car. The police declined the invitation and conducted an inventory search of the car. While doing so they found a firearm. Evaluating the defendant’s challenge to the search the Court discussed four situations, where, after a driver is arrested a car can be seized. These situations are 1) to protect the car and its contents, 2) to protect the public from anything dangerous that might be in the vehicle, 3) where the car creates a dangerous condition to the public and 4) where the vehicle is parked on private property and the property owner would have to call a tow company to remove it. Here, the district attorney was unable to show that the actions of the police fit into one of these categories. Since the district attorney had the burden of proving the legality of the search, and was unable to do so, suppression was the appropriate remedy. Challenging the lawfulness of searches and seizures is something that we do on a large majority of our cases. Winning constitutional challenges such as these often results in a dismissal of the case. We have won drug cases, gun charge cases, sexual assaults and many other types of crimes in this manner. Just because the police find evidence linking someone to a crime doesn’t mean that they can use it against you in court. Our state and federal constitutions are designed to protect you from overzealous police officers and government officials. There are countless ways to demonstrate that your rights were violated. The best thing you can do to protect yourself from such abuses is to hire an experienced criminal defense attorney immediately. We have been in this business for nearly thirty years. We fight for all of our clients and we will fight for you. Call us at 617-263-6800 now. We can help you.